As is typical of the core Stockade beers, the brewers have taken an approachable style and thrown a heap more at it. In this case it’s a golden ale that’s been loaded with hops. More specifically it’s the dry hopping which is key, creating a very aromatic beer that’s bursting with pine and citrus aromas. The body is built on some biscuity and caramel malts which give way to a tropical fruit characters, a slightly dry finish and sharp and resinous bitterness. 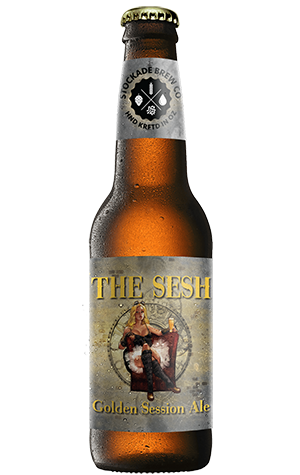 For a fairly lightweight beer – just 4.1 percent ABV – The Sesh punches surprisingly fast, hard and full. Although one of the first beers in the Stockade range, it was retired from regular production in 2018.